It’s time to share the many projects in the works as our developers strive to deliver the ambitious goals set in our Summer Roadmap. Among these are an affiliate program, fully decentralized RNG, and hopeful news about the iOS app release. Our team has been working away on releasing CoinPoker’s fully decentralized Random Number Generator (RNG). Not only does this enhance randomness compared to traditional RNG tech, but it will give players the ability to view their impact on hands dealt, and have full transparency into the inner workings of our card shuffler. We are currently in the final testing stage of this exciting upgrade, and to give you an idea of what this will look like, we’ve added a sneak peek below. Players will be able to view their impact on card shuffling with a unique key (our dev team seems to like fruit). 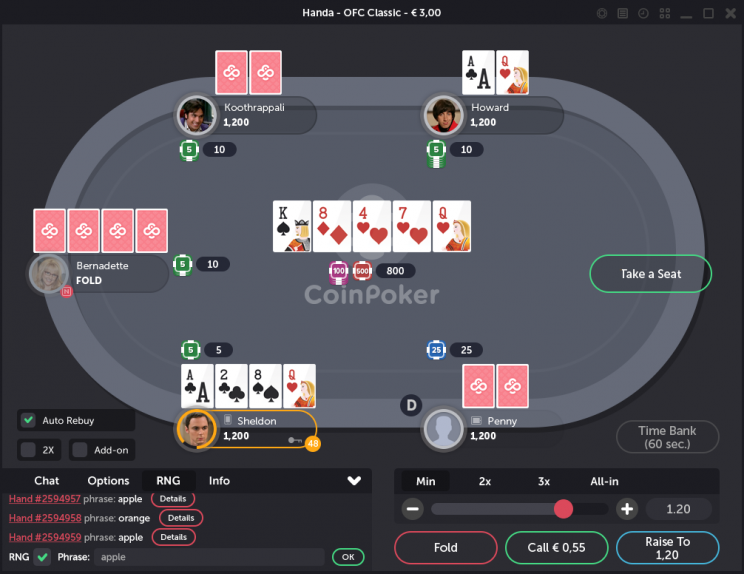 In the spirit of decentralization, our team has been playing around with this technology and found another unique poker application for it. We are about halfway through preparing a new game for our players to enjoy, so keep your eyes peeled for an unique spin on a classic favorite available in the CoinPoker lobby. We have been overwhelmed by the support of our active community, some of whom have gone out of their way to share CoinPoker with friends, fans, and viewers on YouTube, Twitch, and several social platforms. We would like to give our partners and fans a chance to benefit from the players they bring, and as a result will be launching our CoinPoker Affiliate Partner Program very soon. The backend is currently in testing, and as soon as it’s ready for release we will be sharing the news on all channels, inviting players and media partners alike to participate for a progressive revenue share in CHP. Our team is well aware of player feedback regarding gameplay bugs, and want to assure players that, big projects aside, we consistently allocate a large chunk of our time to addressing these important issues. One particular bug fix we are dedicating our efforts on relates to table rebalancing, and we expect this particular to be resolved very soon. Our mobile developers have successfully improved re-connection handling on the Android app. 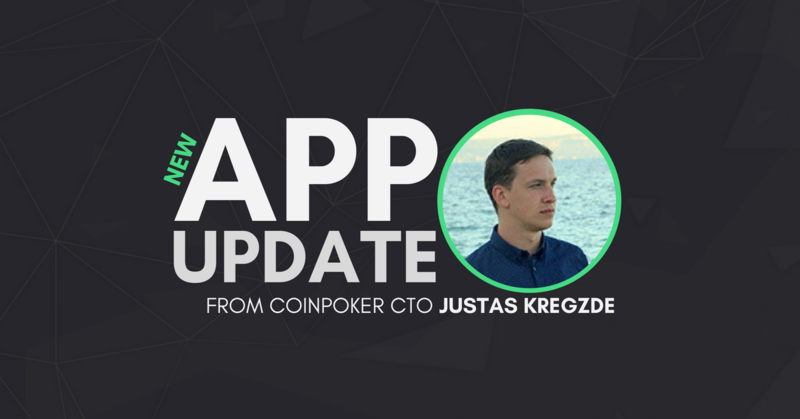 We ask our iOS users to bear with us as we wait for Apple to give us the go-ahead to release, and look forward to sharing the fun (we’ve been playing CoinPoker for iOS for weeks) with the community. Keep an eye on our official Telegram channel for more app updates and news. Love what coin poker is doing. One of the few coins in the crypto market with real value built into the ecosystem and a team that actually does updates and makes the platform better at a rapid pace. No lag with this team. Coin poker has a bright future. Previous Post [FAQ] What Are CHP Tokens and Do I Need Them to Play?